Available in two sizes 24" and 60"
Material SS 316, haler & PFA coated. 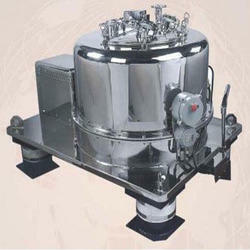 We offer an array of Four Point Suspension Centrifugal Hydro Extractor, which is available in various size and type. 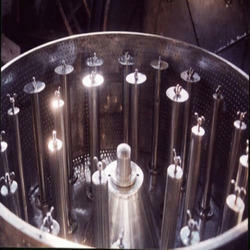 The special Hydro Extractors for Cotton Industries in the purpose of reducing the batch time of drying of Yarn/ Bobbins. 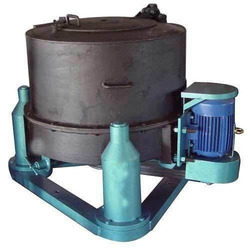 Our company is well known and most trusted suppliers Spindle Hydro Extractor, offering an extensive and efficient variety of hydro extractor which is extensively used for the separation of the oil, water from Yarn (Bobbins). 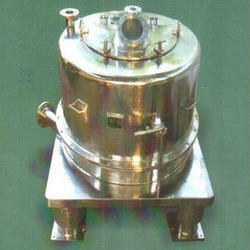 We offer to the clients, a wide range of Basket Type Hydro Extractors. 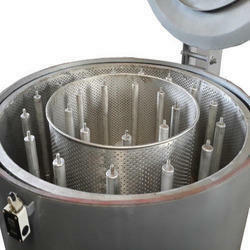 This basket is bolted firmly to the shaft and is fitted in a strong housing with a specially designed gun metal bushing so that the basket cannot be thrown out. 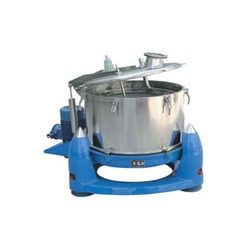 We offer an efficient range of Bag Lifting Centrifuge Hydro Extractor which is used for the separation of the particles from their solution in accordance to their size, shape, density, the viscosity of the medium the rotor speed. Packaging Details: Wooden Cart or Full Ply Packing. 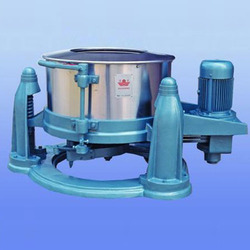 We are a preeminent manufacturer, supplier and exporter of best quality Bag Lifting Type Centrifuge Hydro Extractors. 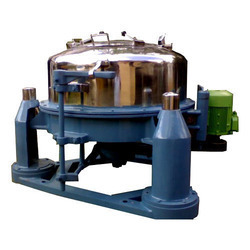 We are engaged in offering Bag Lifting Centrifuge Hydro Extractor for Chemical Industries which we are given to our client.